Photo of Juniperus communis L.
Perennial shrub of the Cyprees family -Cupressaceae- up to 7 m. Numerous stems with reddish-brown bark. 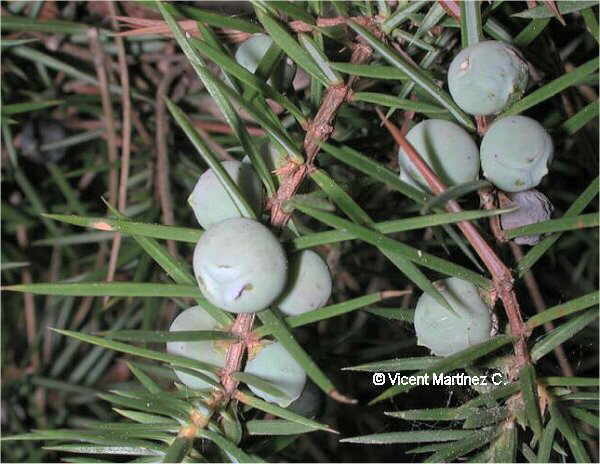 Prickly leaves, dark green above and with a white band beneath in whorls of three, The Dark-blueish fruit when ripe. Mountain scrubs.